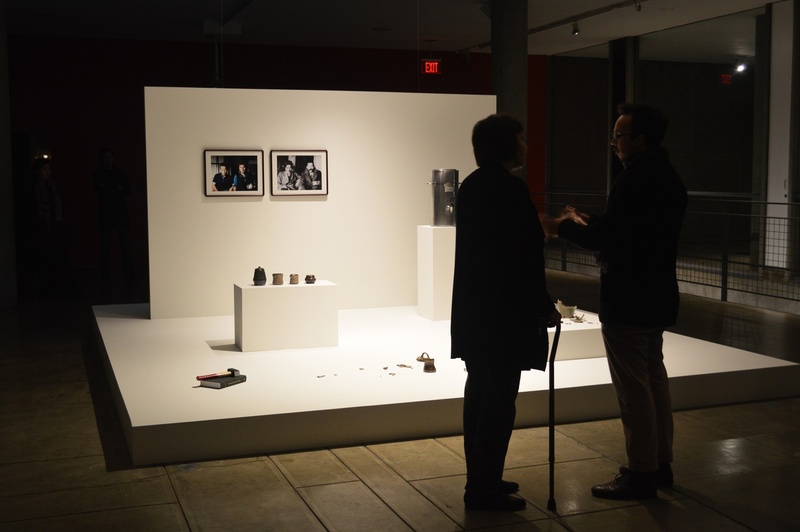 Visitors contemplate the provoking work "Rehearsal for a Reunion (with the father of pottery)" by Simon Fujiwara now on display at The Carpenter Center. 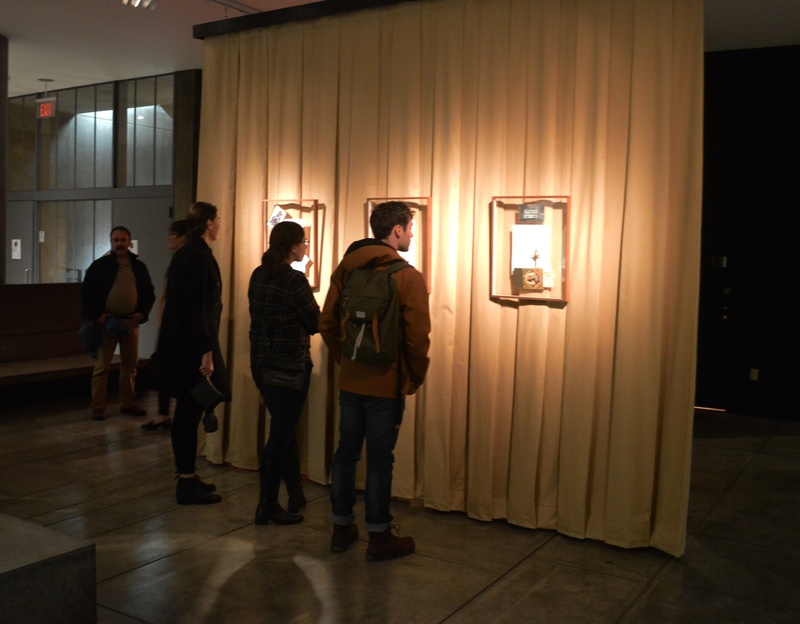 Students, faculty, and guests gathered at the Carpenter Center for the Visual Arts for the opening of artist Simon Fujiwara’s exhibit, "Three Easy Pieces," on Thursday. The display is Fujiwara’s first solo exhibition at an arts institution in the United States. The exhibit consisted of sculptures of smashed mugs, video clips of dialogue between a subject and an interrogator, typed letters attached to books, and photographs. Fujiwara’s work is meant to challenge its viewers to think beyond the artistic medium and engage with the “larger social implications,” said James Voorhies, director of the Carpenter Center and organizer of the exhibit. Fujiwara’s work, featured in museums around the world, weaves his personal experiences into broader historical, social, and political issues through mediums such as sculpture and video, Voorhies added. The exhibition of Fujiwara’s work is part of a larger goal by the Carpenter Center to bring together people from different scholarly backgrounds and to encourage discussion across the disciplines, according to Voorhies. Attendees said the the Carpenter Center, designed by Le Corbusier and completed in 1963, facilitated the exchange of ideas that Fujiwara’s exhibit inspires.